Oliver, BC (August 21, 2017) – Tinhorn Creek Vineyards is proud to announce the release of The Creek, its highly anticipated flagship wine. A toast to 23 years of experience in farming and winemaking on the southern Okanagan Valley, The Creek is an elegant, luscious and modern wine that reflects both place and time. 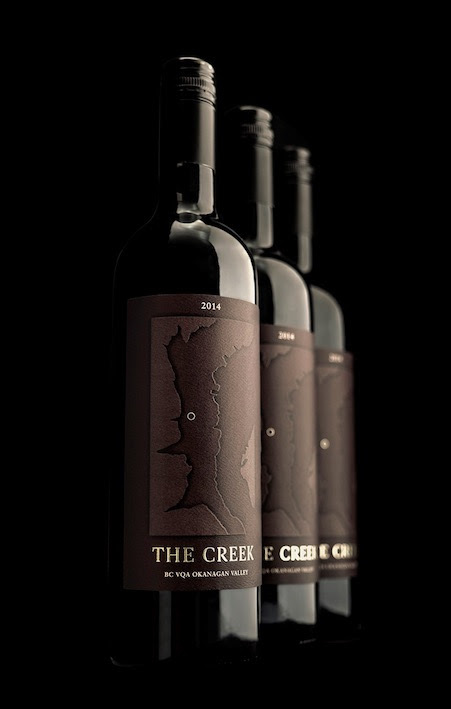 The 2014 The Creek is a unique blend of 53% Cabernet Sauvignon, 19% Merlot, 17% Cabernet Franc, 9% Malbec and 2% Petit Verdot. Aptly named after the iconic waterway that has shaped the surrounding landscape, the new flagship wine is a celebration of Tinhorn Creek Vineyards’ longstanding pursuit of both excellence and innovation in winemaking. Fermented using wild and selected yeasts, the wine is aged for 24 months in 40% French new and Hungarian oak barrels. Boasting opulent flavours of blueberry, cassis and black cherry, with a warm toasted spice finish – the flagship wine’s rich undertones and full-bodied palate make it a perfect pairing for richer dishes. “The planning for this release really began in 2014, spearheaded by our winemaker Andrew Windsor and viticulturist, Andrew Moon”, says Oldfield. “This flagship wine is the result of a focused and passionate collaboration, made possible by our people, land and grapes here at Tinhorn Creek”. Each estate grown, handcrafted vintage will bring forth a structured, intense and powerful blend, reflective of Tinhorn Creek’s ongoing commitment to its stunning terroir and quality vineyard practices. 2014 The Creek wine retails for $55 for 750ml and $120 for magnum bottles, both of which are available in limited quantities from Tinhorn Creek’s tasting room, wine club, online store, as well as their onsite restaurant, Miradoro. The Creek will be released to the public in September 2017, and will be available from liquor stores and in select restaurants in BC and Alberta. For more information about Tinhorn Creek Vineyards visit http://www.tinhorn.com.